There's not a lot Republicans and Democrats agree on, but during last year's presidential campaign, then-candidate Donald Trump promised to work for a solution to the student debt crisis that he said was a crushing burden on families. According to government data, the student loan debt is now more than $1.3 trillion, much of it owed by young families. 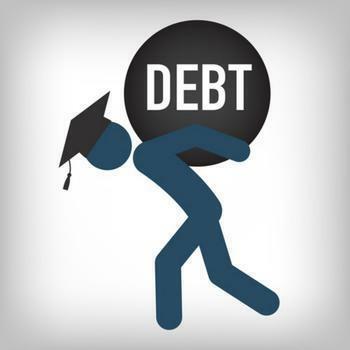 Bearing the weight of student loan debt can put a halt on a young person’s aspirations to purchase a home or raise a family. Now, Sen. Bill Nelson (D-Fla.) has proposed legislation to try to ease the burden. Nelson's bill seeks to cut student loan interest rates and allow borrowers to refinance their existing federal student loans. The federal government recently increased rates for new loans from 3.76 percent to 4.45 percent. However, the bill would permanently cap interest rates for undergraduate students at 4 percent. The proposal spells good news to students like Michael Silurso, a student at the University of Central Florida, who acknowledges that it must be difficult for kids who are graduating -- “They are trying to find a job, and they already have debt that they have to pay off," he told WFTV News, Orlando. Sen. Nelson's bill would also eliminate the "loan origination fees" charged to students to process their loans. This fee is taken out of a student's loan before they receive it, but they are still responsible for paying back the full amount. The Florida Democrat says capping interest rates, ending loan origination fees, and allowing borrowers to refinance existing loans would help to make education more affordable. While the legislation may or may not have a chance at passage, families still must find ways to pay down student loan debt. The Consumer Financial Protection Bureau (CFPB) offers a tool for getting started. While everyone's situation is different, the tool will try to point you in the right direction. To get started, have a list of your monthly loans and required monthly payment amounts at the ready. Then, simply choose "your situation" and answer a series of 'yes' or 'no' questions to figure out your best course of action.